The sometimes-surprising realities of having Google's new virtual assistant in your home. Hey Google: Has it really been three full months since Google Home came into the world? I'll answer that (since Google Home couldn't -- I tried): Yes! Yes, it has. That funny little air-freshener-shaped doohickey first entered our lives this past November. And while I had plenty of doubts about the need for and effectiveness of such an apparatus, I decided it was my professional obligation to pick one up and put it in our house. The truth is that you can ponder this stuff endlessly from a theoretical perspective, but until you've used it in the real world -- over an extended period of time -- it's impossible to understand how it actually fits into your day-to-day life. First: Google Home is definitely fun. Sure, you can accomplish most of the same things by speaking to your smartphone, but there's something almost -- dare I say -- magical about calling out a command into thin air and having a voice from beyond respond with results (regardless of who's doing the talking or where your phone might be tucked away). Pretty much without exception, every visitor to our home who's witnessed me say something like "Hey Google, play the Beatles upstairs" or "Hey Google, turn the lights on bright" has been wowed. "Whoa!" "Cool!" "That's awesome!" "What else can it do?" These are all phrases we've heard many, many times now. Even old Android tricks like asking the answer to some random trivia question (remember, anything Google knows, Home knows) are somehow more impressive when anyone can speak them out into the open and get a friendly-sounding answer booming right back. Google Home is also often frustrating. For all of its wonder, Google Home can be a real pain in the arse. These sorts of systems never seem to work as well in the real world as they do in closely controlled demos, and Home is no exception. To wit: A fair amount of the time, Google Home doesn't understand what we want it to do -- even with basic commands like music playback. The other day, for instance, I told it to play a jazz album in my personal Google Play Music collection called "Duo." Telling Home to play a particular album usually works without a hitch. But in this case, it started to play some random other music (I still haven't figured out what, exactly, but I'm pretty sure it involved at least four bagpipes and the voice of Gilbert Gottfried). I told it to stop and tried getting more specific: "Play Charlie Hunter Duo." No problem, it responded -- and then started playing a mix of random songs by Charlie Hunter from Google Play Music. You'd think the fact that there's an album in my personal music collection called "Duo," by Charlie Hunter, would clue it into the fact that that's what I wanted -- especially since that's the only album in my library with that name. But after three or four failed attempts at trying to get it to recognize that, I gave up, found my phone, and just started streaming the damn thing manually on my own. This is but one example of the infuriating side of using Google Home. For all of its alleged conversational prowess, there are still plenty of times when it just doesn't recognize what you want -- either because it's unable to do what you're asking or because you aren't asking in the right way (which often comes down to a guessing game on your behalf). Even with something as simple as inquiring about the weather, we've run into instances where we haven't phrased our questions quite right and Google Home has told us it doesn't know how to help. The fact that the Google Assistant -- the heart of Home -- is wildly inconsistent across different Google products doesn't make things any easier. 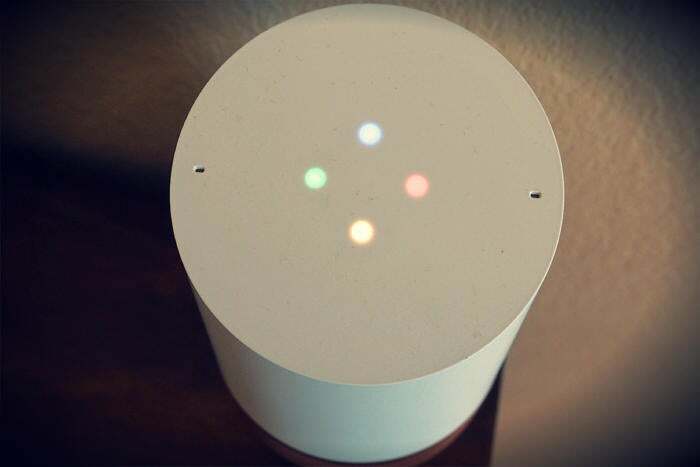 Sometimes, one or more Android phones will activate themselves and start listening when you're trying to talk to Google Home. We've started using "Hey Google" instead of "OK, Google" when we're talking to Home as a result -- since the latter also works on phones, while the former does not -- but even with that, the phrases are similar enough that a phone will occasionally pick up on what's being said and chime in. Sometimes, Google Home itself will get confused and start doing weird things. We ended up getting a second Home device and now have one in our kitchen as well as in our dining room/living room area. In theory, the two are supposed to work together and avoid responding at the same time. (The same is true for Home and Android phones.) And most of the time, that works. But -- just like with the phones -- here and there, the devices get disoriented. One will respond to a query while the other says something strange about not knowing how to help or not being able to connect at the moment. I've had to restart one or both of the devices on multiple occasions to get them back in sync, which is an annoying added bit of complexity to have in our house. Home is actually useful -- for some things. More than anything, my wife and I have both come to rely on Google Home for music playback. (Based on what I've heard from other Home owners, that seems to be a common top-use scenario.) We have a handful of Chromecast Audio-enabled speakers around our house, so it's really handy to be able to play practically any music in any room -- or skip a song, adjust the volume, and so on -- simply by speaking a command. Outside of music control, I'd say our biggest use of Home is -- prepare yourselves -- checking the weather. It sounds trivial, I know, but as we're grabbing jackets and rounding up the little one, there's something nice about calling out "Hey Google, what's the temperature outside right now?" and getting a quick update. We have a few Philips Hue lights in our living room, too, and being able to control those by speaking is also pretty useful. That aside, we'll use Home for the occasional on-the-fly info-check -- like asking if a particular store is open yet when our little girl decides to get up at 6 a.m. and we're scrambling to find something to do -- or for setting a hands-free, phone-independent timer to remind us of something going on in the kitchen. Google Home is great for kids -- as well as us children at heart. Okay -- I've been holding back a little. If I'm being fully honest, the commands our Home devices probably hear more than any others are "Hey Google, what does a kitty say?" and "Hey Google, what does a train sound like?" I'm well aware of how insanely silly that must sound to any non-parent. But our daughter is just delighted by having access to those sounds on such a simple and on-demand basis. She walks around saying "Hey guh-gull twain" or "Guh-gul kitty meow" (which is somehow both adorable and disconcerting at the same time). She dances whenever the train sound comes on. She's even managed to activate Home by herself a few times, though it doesn't usually understand her whole command. And to my daughter's delight, asking Home "Who the best little girl in the world?" now results in her name being said back three times. Silly? Sure. But the young and immature among us get a real kick out of it. Google Home is very much a multiperson gadget that revolves around a single person's data. Remember those concerns I raised a while back about Home's single-account conundrum? As it turns out, some of them are spot-on. Home doesn't have the ability to identify different users in any way, so everything said to our Home device is connected to my own personal Google account and becomes part of my own personal Google history. That could have some interesting implications down the line, to say the least. Beyond that, unless I turn off the "personal results" permission entirely, anyone talking to our Home can pretty easily pull up info like my recent purchases and upcoming calendar appointments. Some of the more advanced functions we were expecting to see in Home -- like being able to read emails and add new calendar events or reminders -- are not yet present. Right now, Home responds to such requests by saying it can't handle those items yet, though, so we'll have to see how things progress over time. All in all, Home is more of a neat toy than a necessity. You know what? Skeptical as I was going in, we've really come to appreciate and enjoy having Google Home in our home. It's fun, it's useful, and it feels fantastically futuristic -- at least, when it actually works and doesn't make us mad. I could see Home being even more useful if you had more connected hardware in your house, like a Nest thermostat (which we presently do not). It's the epitome of laziness, I know, but it'd be pretty darn cool -- both literally and figuratively -- to be able to call out "Hey Google, turn the thermostat down a few degrees" without raising a finger or getting up from the couch. And that gets at the core reality of Home: It's hard to argue that it's something most people truly need. Depending on your habits and the specifics of your house, it probably falls somewhere between being a novelty and being a neat toy. But it isn't a necessity, nor is it something I'd say will change your life in any dramatic or particularly meaningful way. For us, I think it lands right smack dab in the middle of the "novelty" and "neat toy" line. We definitely use Home less now than we did early on, when everything about it just seemed so irresistibly futuristic. It's still fun to see visitors react in that awestruck way -- but for us, it's evolved into a tool that's sometimes useful for making certain tasks a teensy bit more convenient (in a very "First World problem" sort of way). Beyond that, the Home device is also a surprisingly good speaker. We ended up taking an old standalone speaker (repurposed with Chromecast Audio) out of our kitchen and moving it into another room because music played through the Home actually sounded better. If you need a Cast-enabled wireless speaker somewhere in your house, $129 for this is a no-brainer. As for the Assistant part of the equation, I'd say it's the kind of thing that'd make a fun present (whether from someone else or just a present to yourself). You'll enjoy using it, and you'll probably get some genuine value out of having it. You'll probably also find yourself annoyed with it from time to time. And if you had to give it up, you might miss it for a little while -- but you'd probably have no trouble adjusting back to your old standalone-assistant-free lifestyle. Right now, artificial intelligence isn't quite the revolution we've been promised. 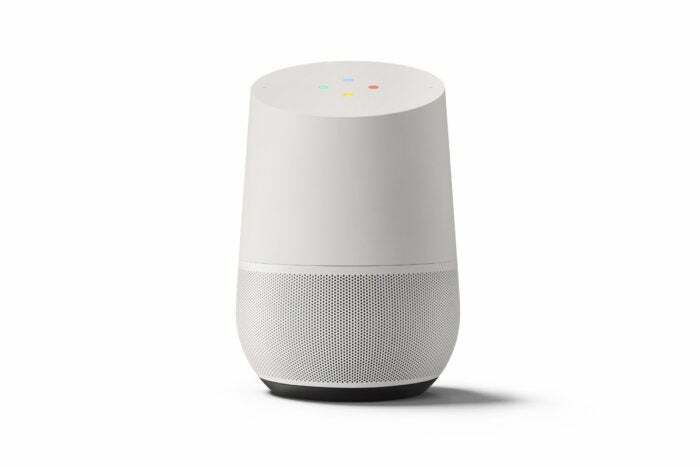 Google Home is, however, a neat toy and a nice added convenience -- not to mention a sensible addition to any wireless Cast-based music setup -- as long as you don't mind dealing with its sometimes not-so-smart-seeming quirks.